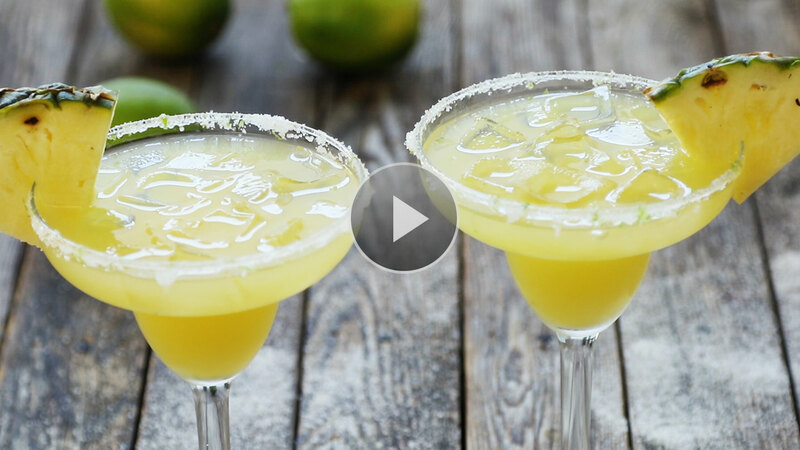 Rub the rims of 6 glasses with the lime wedge and dip in the salt mixture. Fill the glasses with ice and top with about 1/2 cup margarita mixture each. Garnish with pineapple and lime, if desired. Per serving: 117 calories; 0 g fat (0 g sat); 0 mg cholesterol; 8 g carbohydrates; 5 g total sugars; 0 g protein; 0 g fiber; 48 mg sodium; 99 mg potassium.